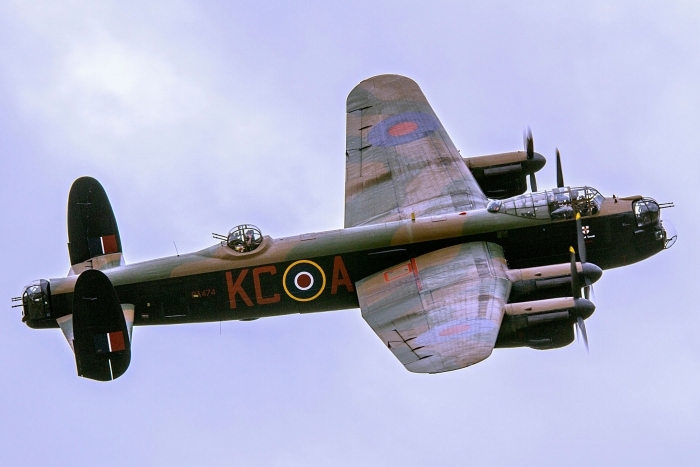 The Lincolnshire Lancaster Association (LLA) was formed from the Lincolnshire Lancaster Committee who were a group of like-minded people who joined forces when the Lancaster was moved from RAF Waddington to RAF Coltishall in 1973. 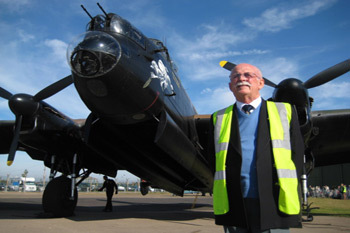 They collected over 17,000 signatures to get the Lancaster moved back to Lincolnshire. 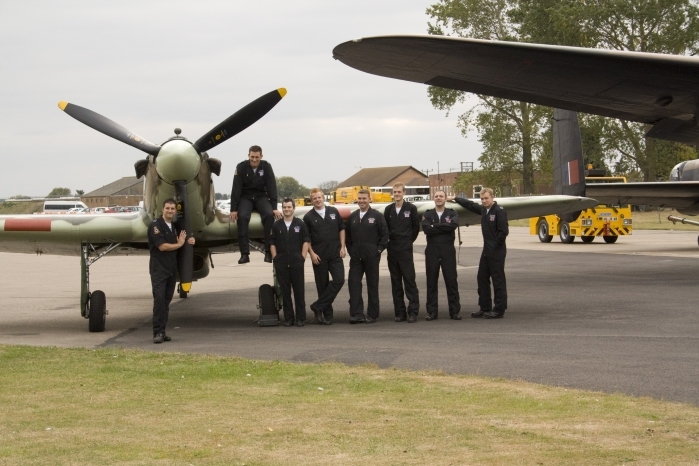 Eventually it was announced that The Memorial Flight was moving back to Lincolnshire at RAF Coningsby. 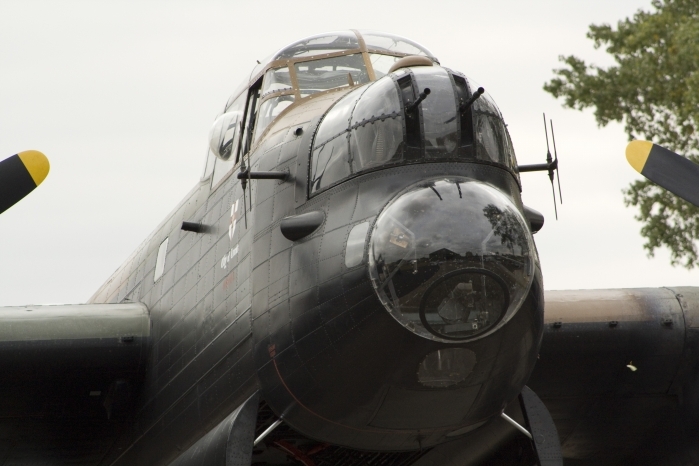 The LLA has taken an active part in fundraising to help with projects within the BBMF, including the mid-upper turret on the Lancaster. 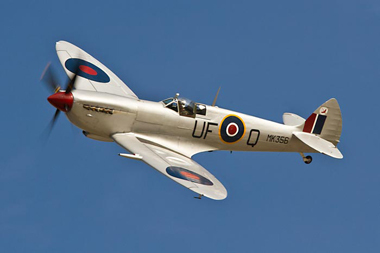 The LLA's most recent project is fundraising to help with the rebuild of the BBMF's Supermarine Spitfire TE311, which is well underway. 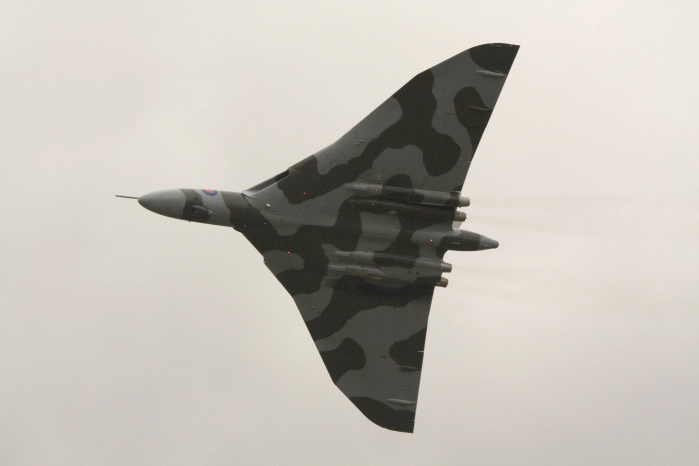 The LLA owns two Avro aircraft, Avro Vulcan XM594 and Avro Shackleton WR977, these aircraft are on display at Newark Air Museum and along with the Avro Lancaster were designed by Roy Chadwick. 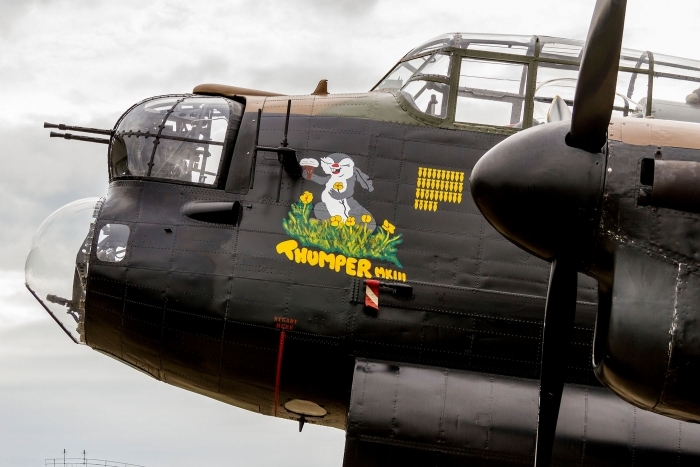 The association has over 6,000 members worldwide and its long-term aim is to help keep the Lancaster flying and keep its home in Lincolnshire as a tribute to the thousands of bomber command aircrew who lost their lives during World War II. 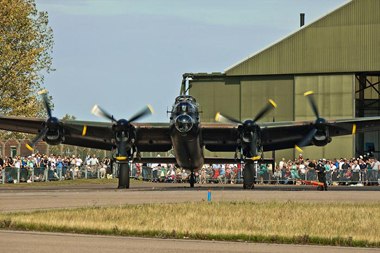 Why not join the Lincolnshire Lancaster Association and help to keep the Lancaster and the Battle of Britain Memorial Flight alive. 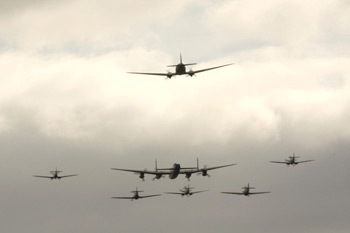 The annual Lincs-Lancs event was well supported on what turned out to be quite a windy day. 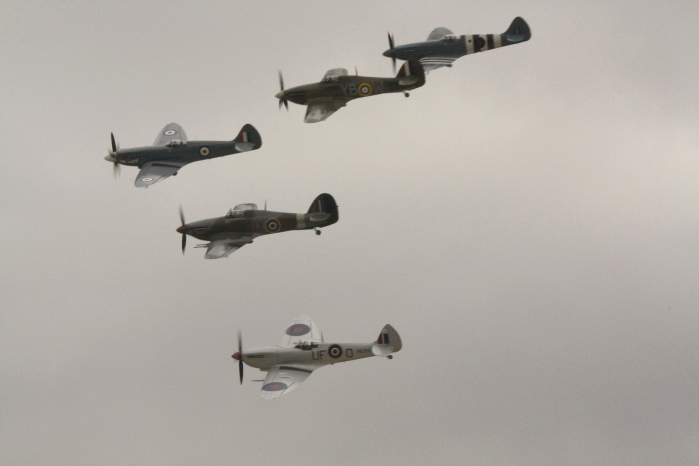 The wind did die down as the day went on but was too strong for the smaller Spitfires to get airborne. As always once the flying starts it is hard to keep track of which direction the aircraft are coming from. 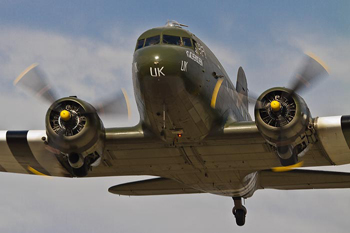 During the morning the Dakota made two flights finishing with a low pass towards the watching crowds. 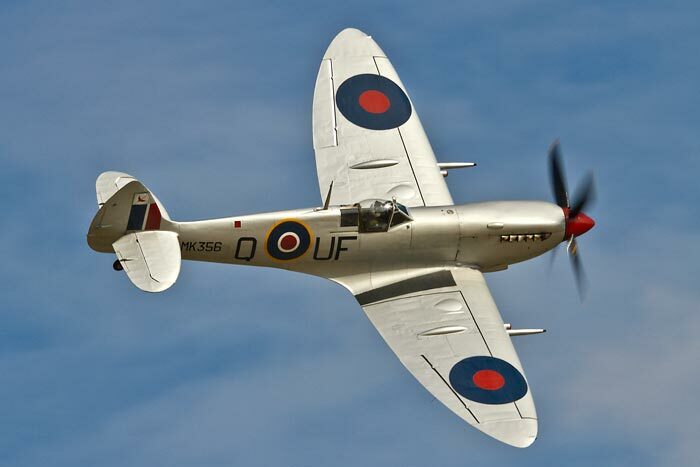 The flying started with the Spitfire Mk 19's flying as a pair with some impressive well coordinated manoeuvres, after landing one of the aircraft needed some TLC which was liberally dished out by some of the flight's engineers. With the aircraft back in tip top condition the two Mk 19's (this time accompanied by the Lancaster and Smithy in the Hurricane) taxied off towards the runway, shortly followed by the Dakota. 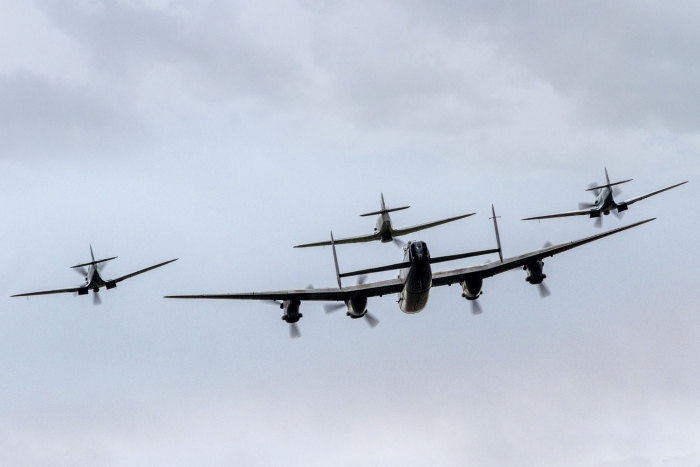 The three fighters proceeded to carry out some splendid flypasts and later joined up with the Lancaster before landing, the Dakota then carried out a solo display. This was not the end of the flying because Smithy who was shortly to hand over the bosses job to Squadron Leader Duncan Mason swapped the Hurricane for Spitfire PM631, and was soon back in the air again, he proceeded to fly some fast impressive aerobatics before carrying out one final low pass over the hangars. This was probably Smithy’s last flight in this aircraft and on bringing the aircraft to a halt was met by a large crowd of well wishers. 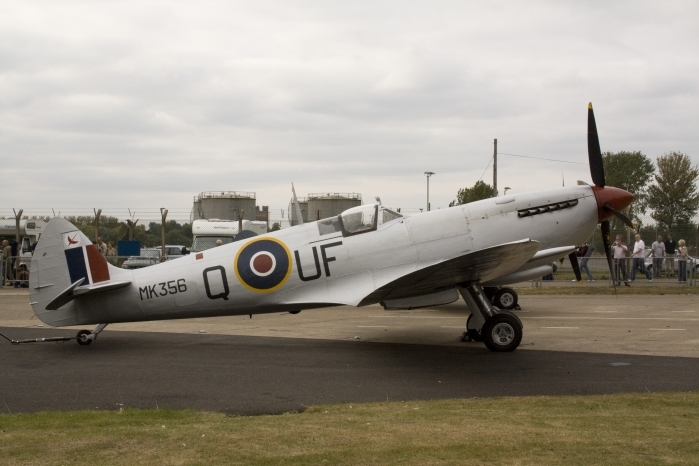 Also of interest to the visitors was the Supermarine Spitfire TE311/4D-V outside having an engine run, this aircraft has had a full restoration over a number of years and is expected to fly very soon. As usual a splendid day with something for everyone and an event which people will look forward to next year. 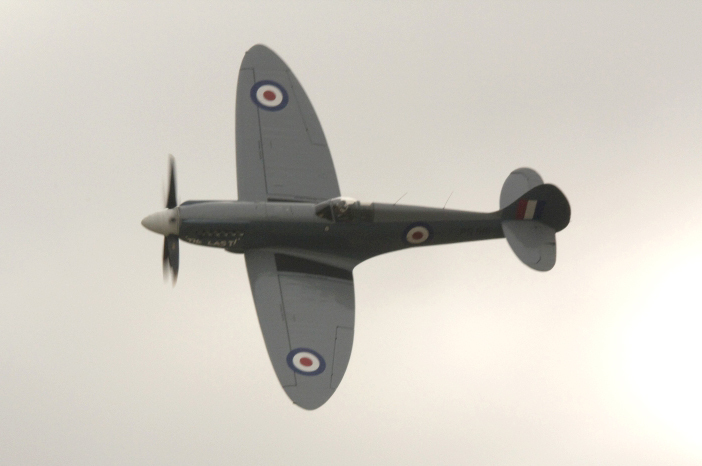 Entrance to the event was, as usual, through the BBMF hangar where Spitfire LF.XVIe TE311 took centre stage. 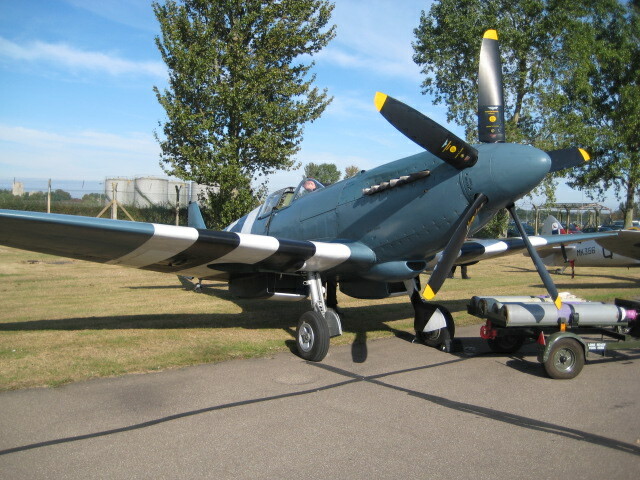 This immaculately restored aircraft is promised to be the most authentic airworthy Spitfire in the world and looked to be ready for flight apart from a couple of wing fillet panels that were still in primer. 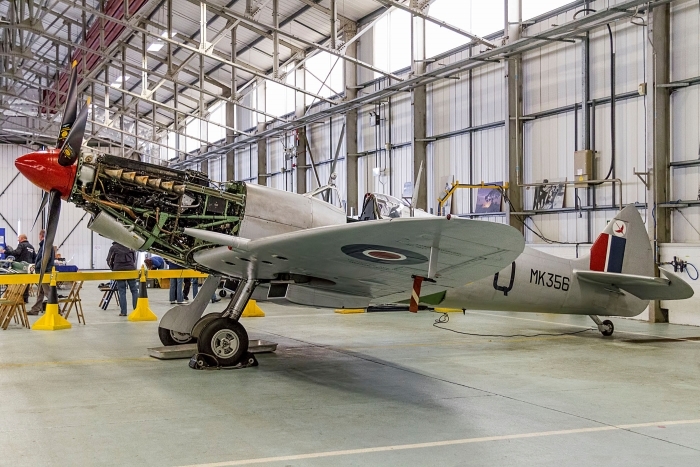 The major parts of Spitfire F.21 LA255 were also on display, stripped to bare metal and ready for preservation work. 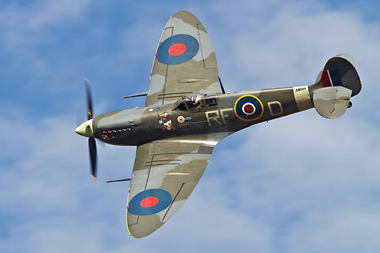 It is intended that this will become the BBMF's gate guardian until a unit with a greater claim requires it. 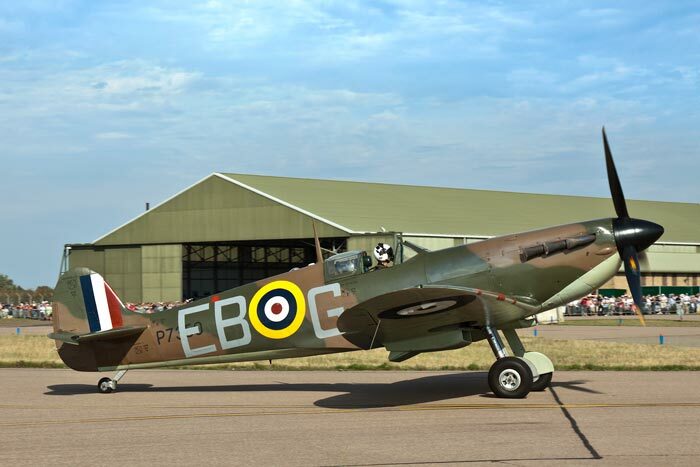 In the corner of the hangar was black Chipmunk T.10 WG486/G highly "bulled" to a super-shiny finish. 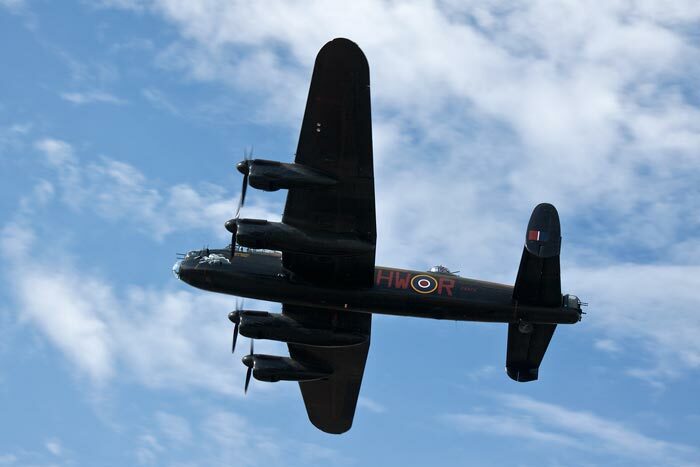 Outside were the rest of the available BBMF fleet, the most obvious being the flagship, Lancaster B.1 PA474, appearing in public for the first time with authentic WWII design exhaust shrouds fitted. 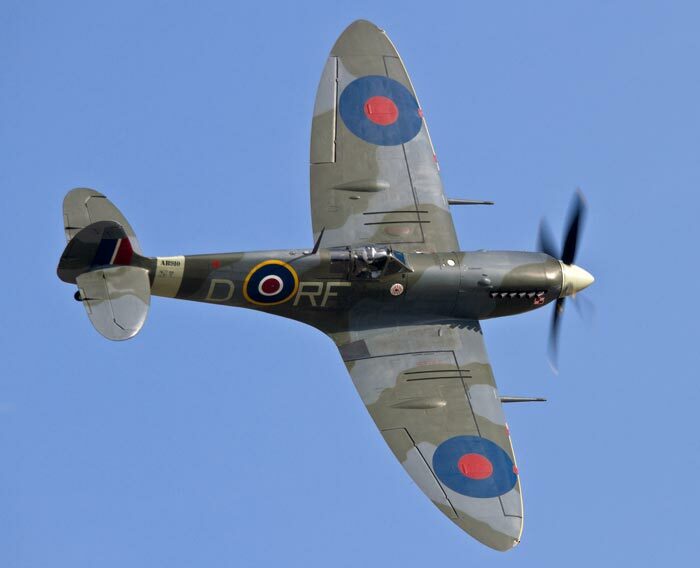 Their manufacture had been paid for by the Lincolnshire Lancaster Association. 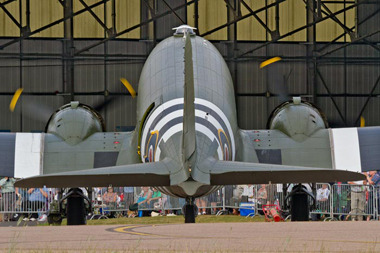 Next to her was Dakota ZA947 "Kwicherbichen". A colloquial translation of the Plattdeutsch name preferred by this writer is "Hobson's Choice". 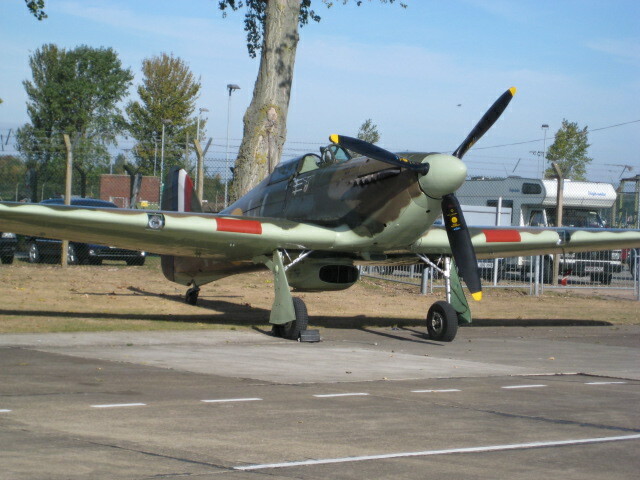 In a line down the side of the hangar, looking superb in the sunshine, were Hurricane IIc LF363 and The Flight's five airworthy Spitfires. 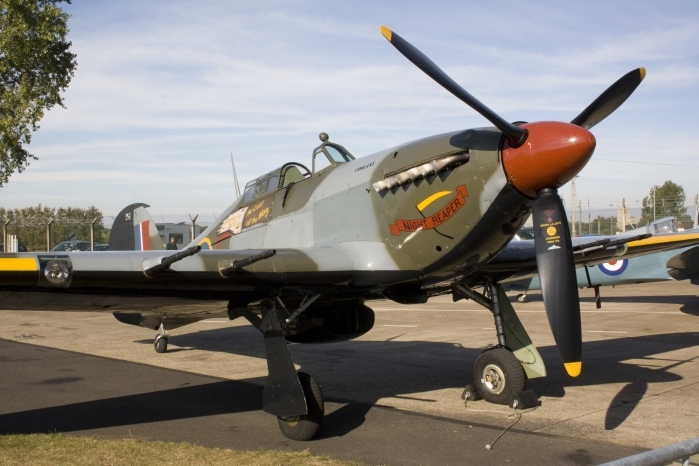 Notable by their absence were Hurricane PZ865 and Chipmunk WK518/K which are both away for major servicing over winter. Further out on the airfield could be seen Giles Aviation's Aztec G-KEYS which was to be very busy as the day's camera ship. 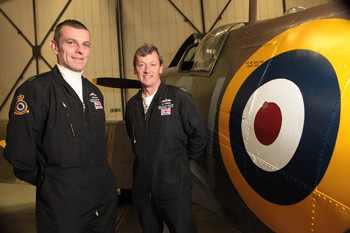 Also present was AA-5 Traveler G-BCPN which had brought in actor Ewan McGregor for a BBC TV shoot. 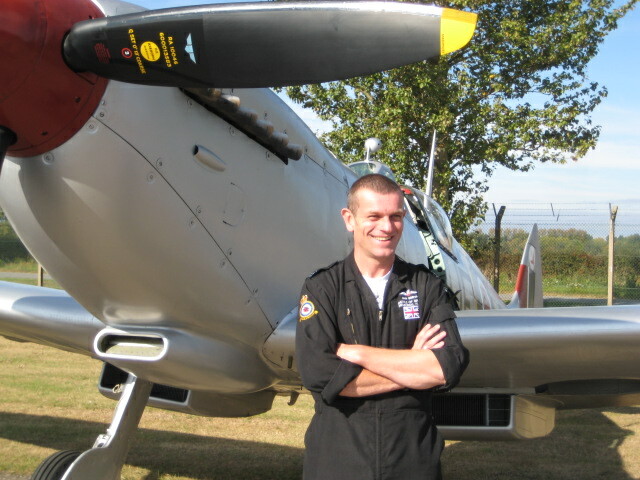 The day's activities were started by piper Blair Nicol from 1145 (Dunfermline) Sqn. 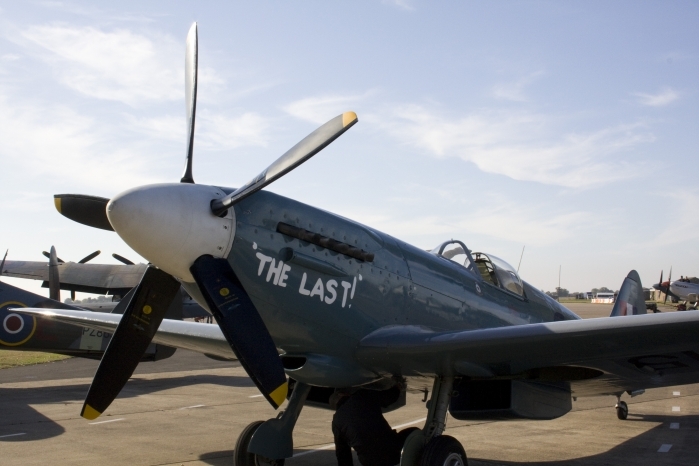 ATC who took post at the nose of "City of Lincoln" to play a lament for the lost airmen of WWII. 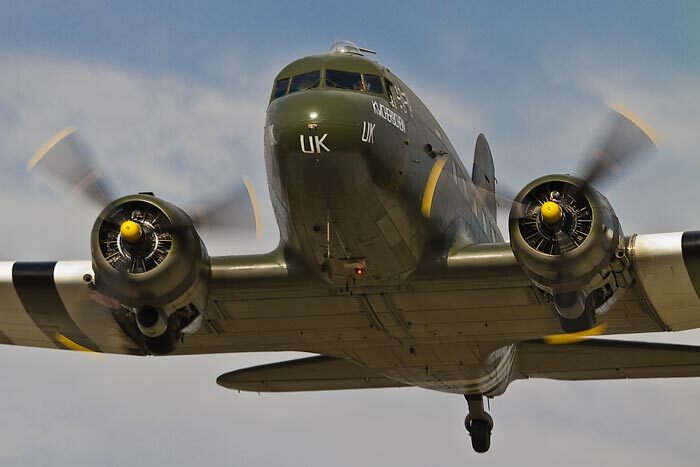 Shortly afterwards the Dakota started up and took off to give a very sprightly twenty-minute performance which included two very low flypasts. 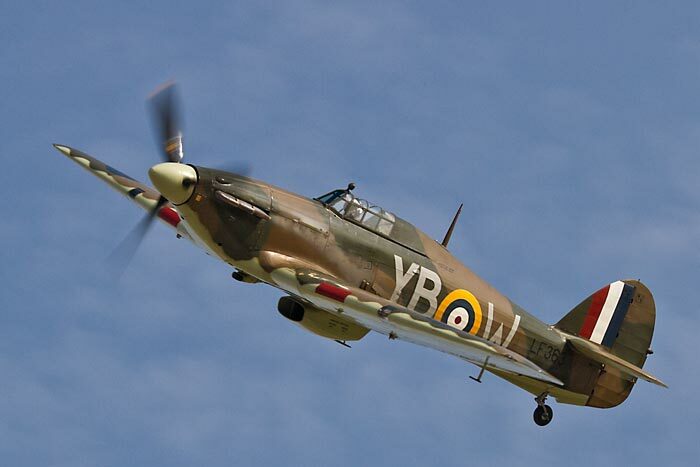 She then departed the circuit for flypast duty at a memorial service at Sibsey Northlands. 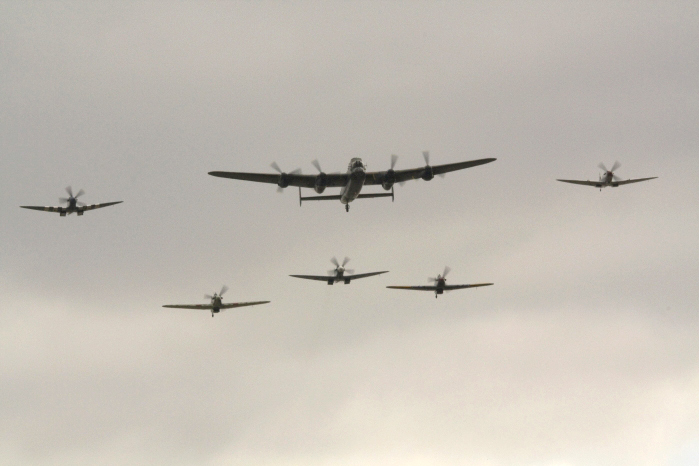 This was the cue for the Lancaster to start and takeoff followed shortly by the Hurricane and three Merlin-engined Spitfires. 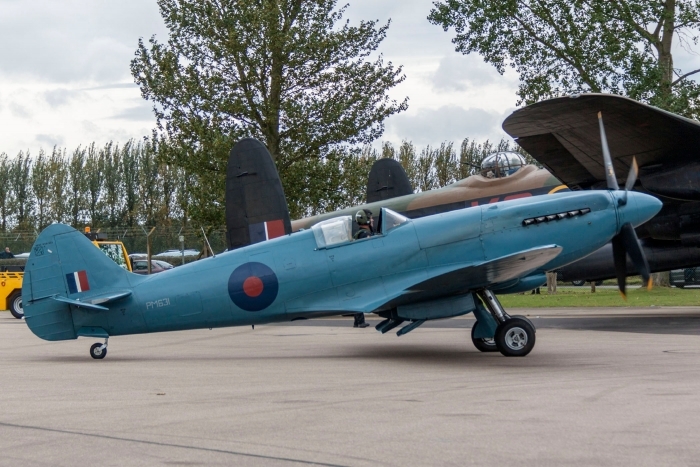 The two blue PR Spitfires stayed firmly on the ground due to lack of pilots, this being due to operational duties and end of season leave. 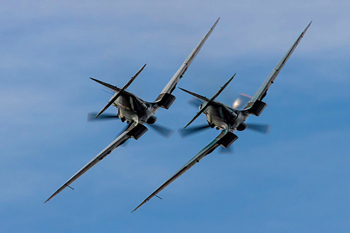 The skies over Coningsby then went quiet for a while as the aircraft toured the Lincolnshire countryside taking their stations for the traditional last day of flying flypast. 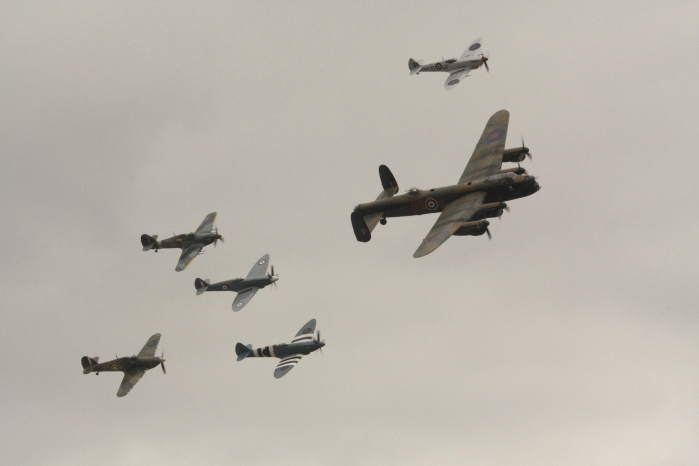 They eventually reappeared with the Hurricane leading a vic of Spitfires and the Lancaster bringing up the rear. 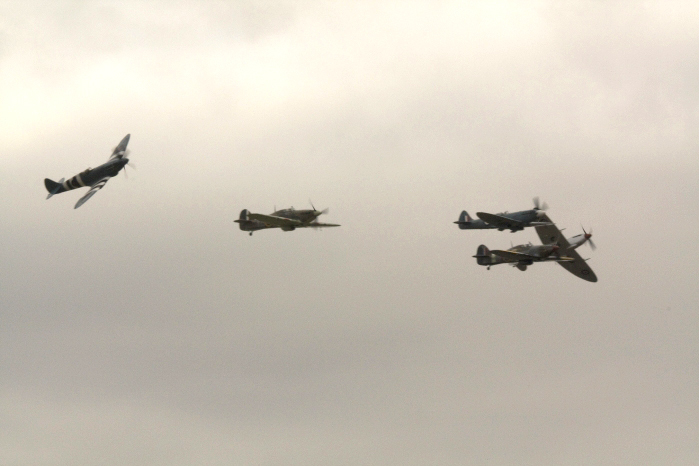 The circus maintained this formation for a couple of passes overhead before breaking for their individual performances. The "City of Lincoln" alias "Phantom of the Ruhr" gave an extended version of its usual polished performance punctuated by passes from the Hurricane. 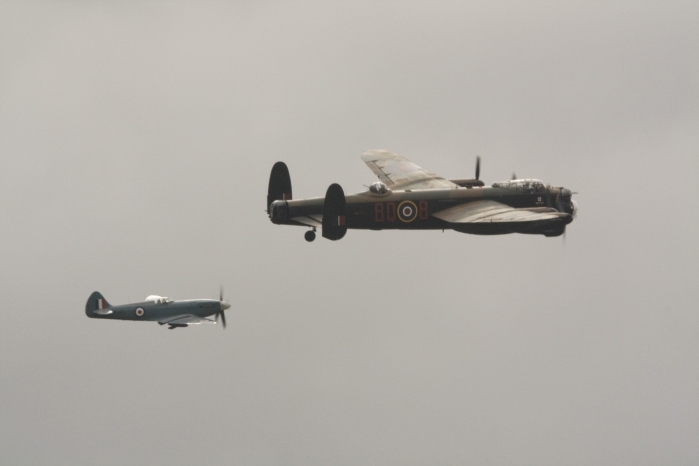 This later then joined forces with Spitfire IIa P7350 for a tail-chase and opposition aerobatics before following the Lancaster into circuit for landing. 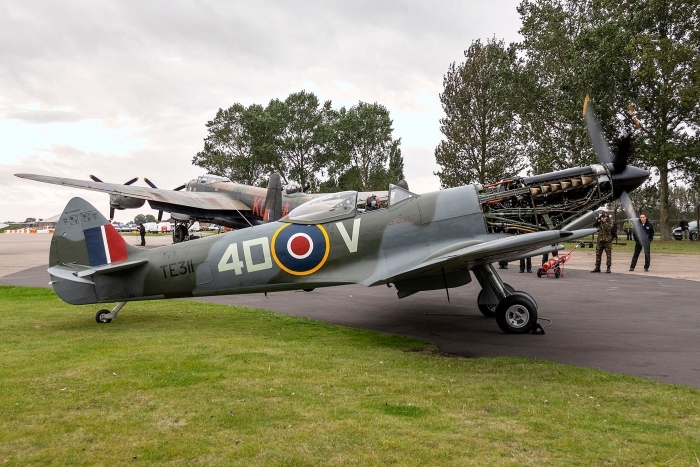 While these stars taxied in, Spitfires AB910 and MK356 gave a beautiful display of close formation aerobatics followed by low-level opposition "beat-ups". They got enthusiastic, well-deserved applause as they taxied in. 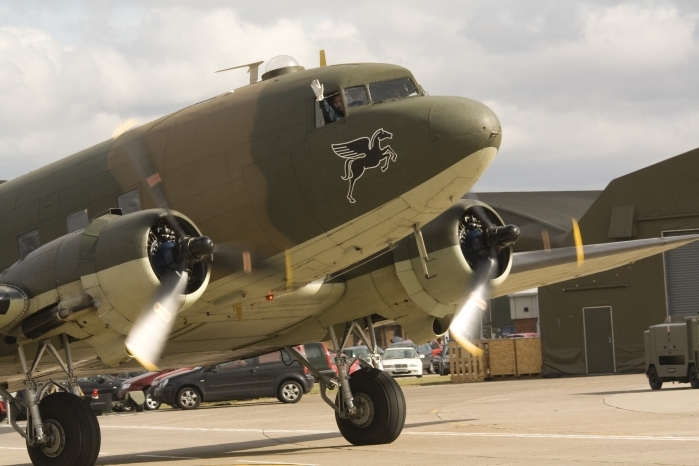 The Dakota returned from its duties to give a couple of low passes with the air quartermaster waving goodbye from the open paratroop door to complete the LLA Day display.